One little dinosaur is having a birthday, and it’s his family’s job to get ready for the big party. 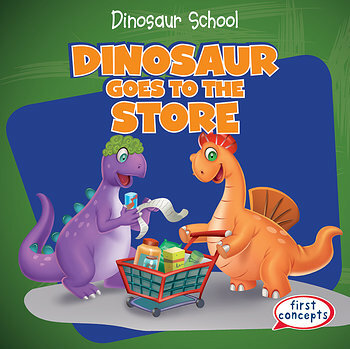 This book takes beginning readers on a trip to the store the day before the big day, as two dinosaurs grab a shopping cart and make sure they have everything they need to host a great gathering of friends and family. From the ingredients needed to bake a cake to birthday presents and decorations, these dinos are on a mission to make it the best birthday party ever!